10 miles from the strip, The Red Rock Casino Resort & Spa offers the ultimate high roller suite - the 180 Suite - spread over 7,500 square feet of space and with views of the Strip and the mountains. Read more below from our sister publication, Luxury Travel Advisor. Guests will be staying in good company as the resort has hosted George Clooney, Pink and Cindy Crawford. 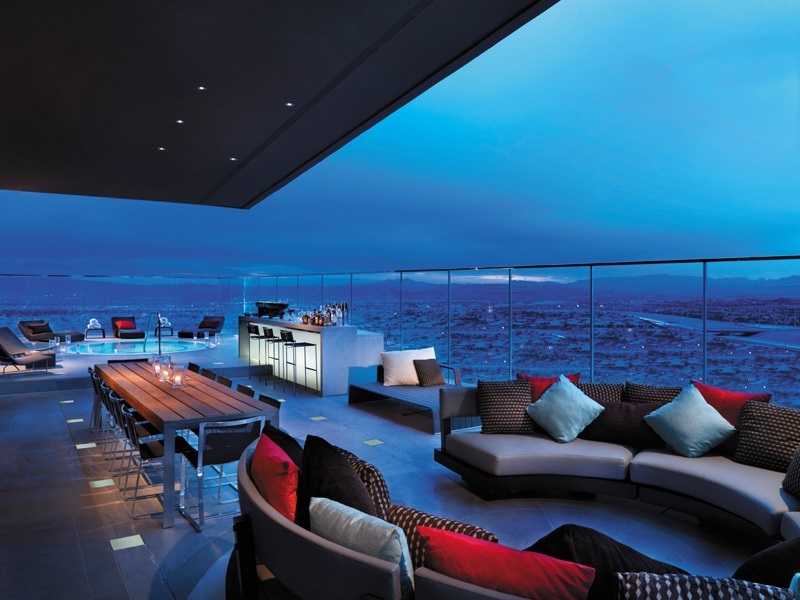 The One-Eighty Suite has views of the Strip and the mountains. 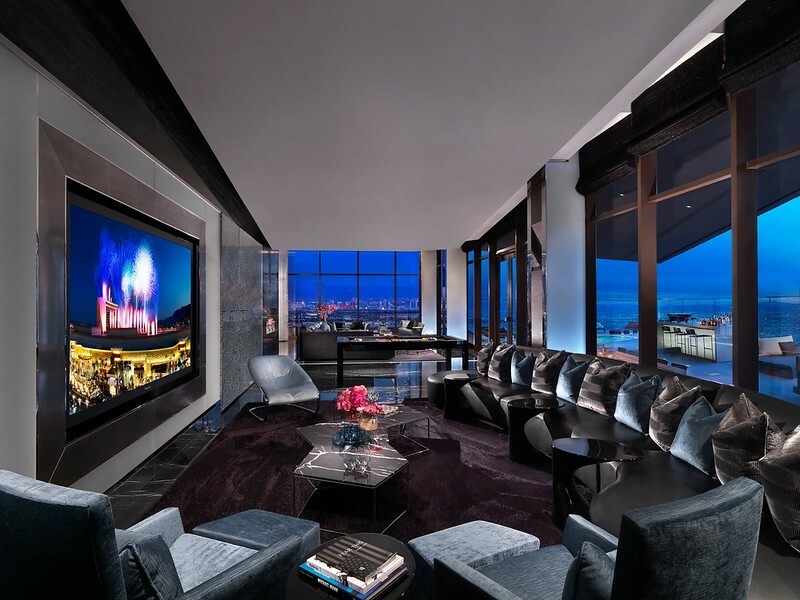 However, the suite may divert attention from the vistas with its sleek, luxurious design in a color scheme of black, rich browns and blues - very 21st-century. This top suite leaves us wanting to know what's around every corner and behind every door. Amenities at this luxury hideaway include a pool table, a 100-inch TV and a full bar (hello, Sin City). The bathrooms in both master bedrooms are fitted with a walk-in shower and Jacuzzi tubs with fireplaces. The two bedrooms also come with private balconies. Outside, along with a stunning view of the mountains, guests will have a spa tub and a bar with a revolving sofa. With these digs, venturing over to the Strip may not be necessary. Additional Tip: For the ultimate entrance, the hotel has luxury Cadillac Escalades and Cadillac Limos for private pick up from Las Vegas McCarran International Airport.